February is Catching Up On CAGE month at Catching Up On Cinema! 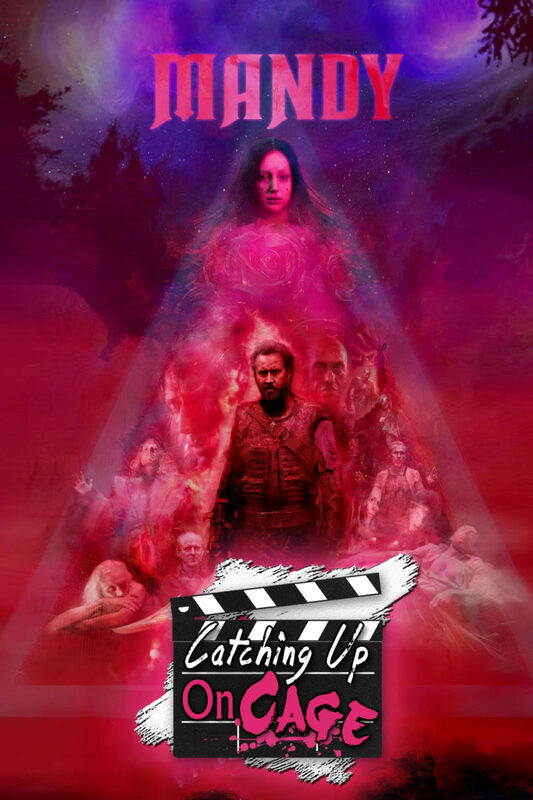 Kicking off the month long exploration of Nicolas Cage’s eclectic filmography, Kyle and Trevor mutually dive headlong into the beautifully brutal acid trip that is Panos Cosmatos’ Mandy (2018)! A color palette that burns the eyes! A thrumming, electronic score that revs you up and freaks you out in equal measure! A chainsaw fight for the ages! Cage-ian acting at it’s best!